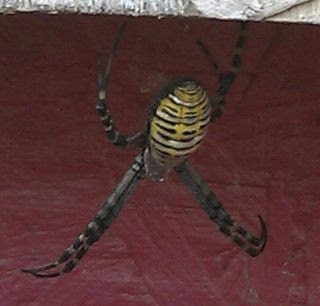 Though I have not seen them personally, I feel confident that I have confirmed these to actually be living in Michigan. 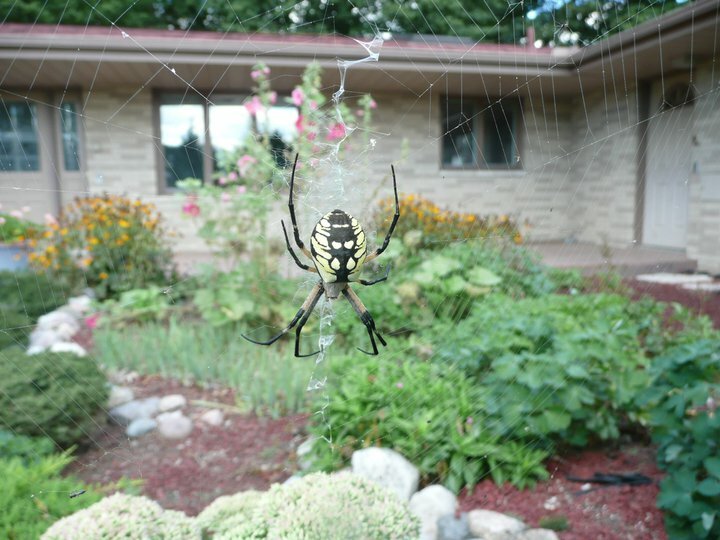 So far, I have identified two different species of the Argiope to live in Michigan. 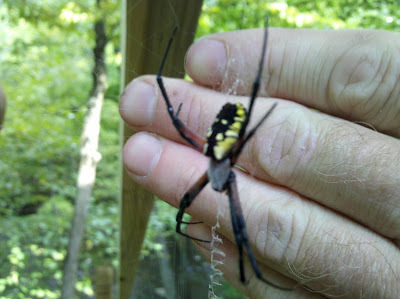 The Banded Argiope, and the Black and Yellow Argiope. As I find others, I will add them. Abdomen - Large (more than double the cephalothorax) and oblong shaped. 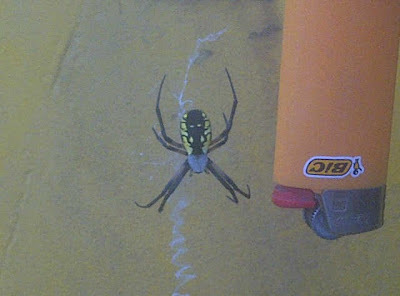 Usually black with white and yellow patterns. The pattern for the Banded Argiope has multiple stripes running across the abdomen. 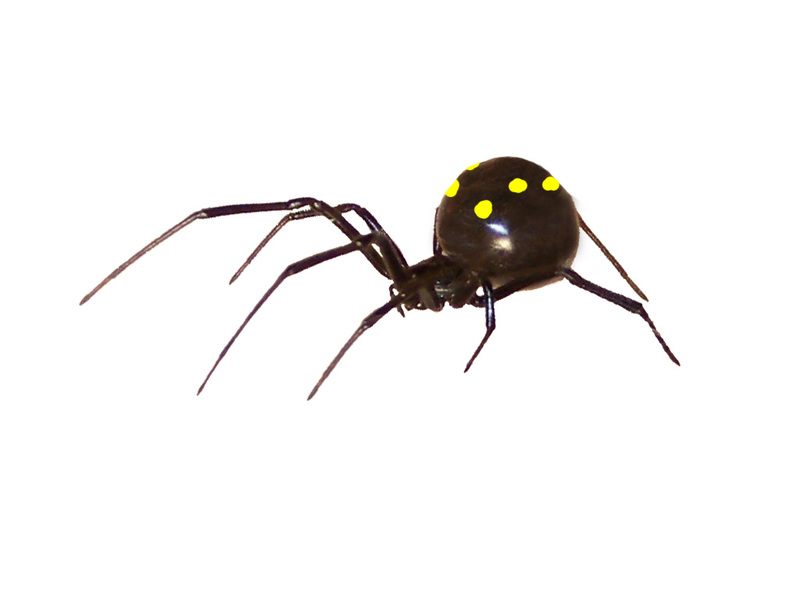 Males have a much more nondescript abdomen and the entire spider has more of a shiny fuzzy brownish look to it. 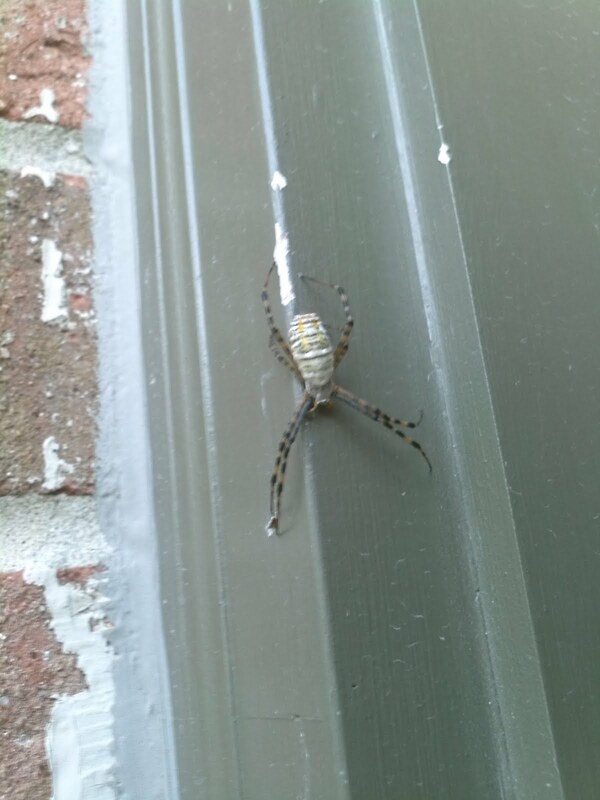 Cephalothorax - White (or light Gray) and slightly dull and fuzzy looking. 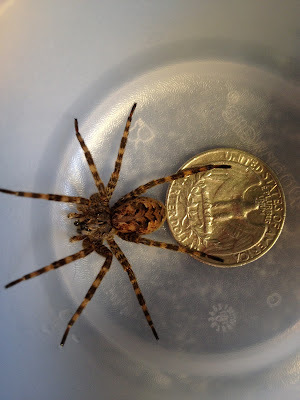 Male Size - Much smaller than the female, these are typically only 1/4 inches. Bite Info - The venom of the Argiope is not considered dangerous to humans. 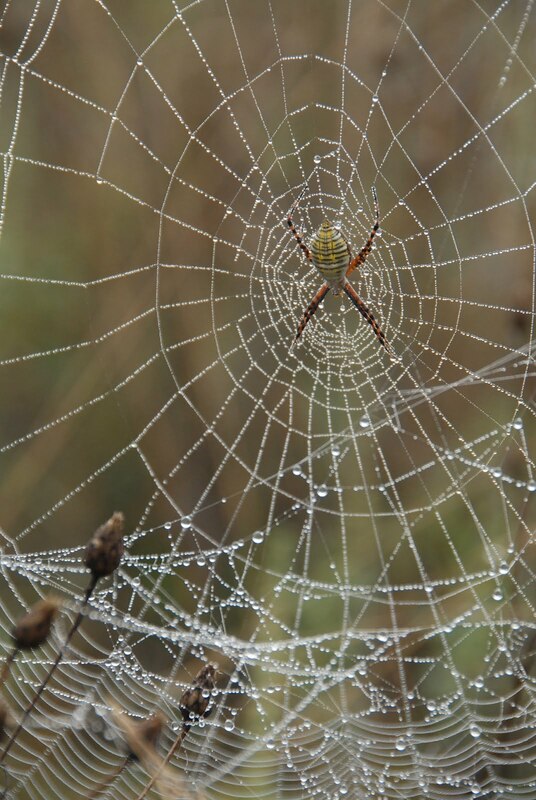 Other Notes - The Argiopes are Orb Weavers and will spin webs in a circular pattern that is supported in a vertical manner to catch flying insects. 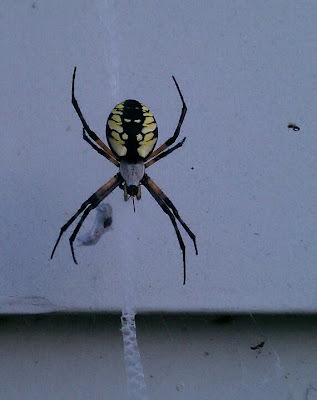 Unlike most other Orb Weavers, the Argiope's web will usually have a long and thick zigzag pattern in the center. 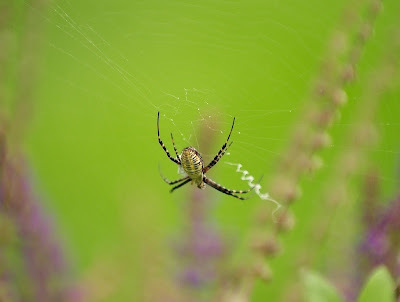 Another name for them is the Saint Andrews Cross for the way they pair their legs up and stretch them out together to create a cross look.